The Amalfi coast includes few of the nicest villages of the world, everyone has heard at least once about the beauties of Positano, Amalfi and Ravello as the same for the bay of Naples which includes the popular historical ruins of Pompeii, Herculaneum and mount Vesuvius, but how to fully visit these areas? What we mean with "private tour service" is an excursion made of your wishes: our tour proposals are nothing else than your tour proposals! Being our service a private day tour, we would be available to all your requests of tour. 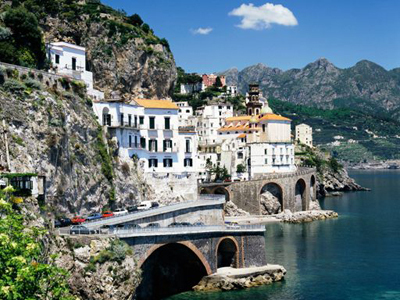 Each of us knows in detail the history, folklore and traditions of the Amalfi coast and the surrounding area. 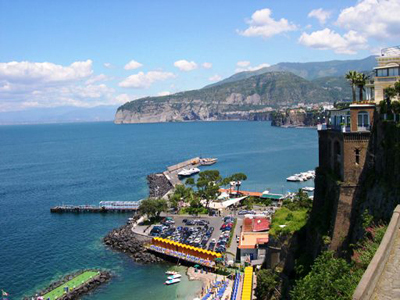 Let us drive you along the amazing Amalfi drive discovering Positano, Amalfi and Ravello or along the bay of Naples area visiting Pompeii, Herculaneum and mount Vesuvius. We promise assistance during your tour with professionality and great experience. 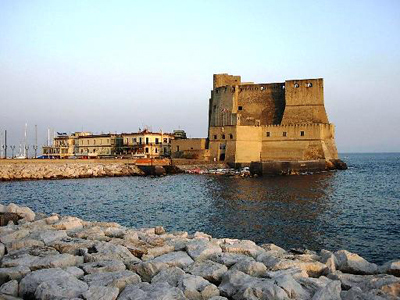 We organize mostly tours from Positano and Sorrento and we are also able to pick you up anywhere along the Amalfi coast, the area of Pompeii or even in Naples. Please contact us and we'll help you to organize your private tour! 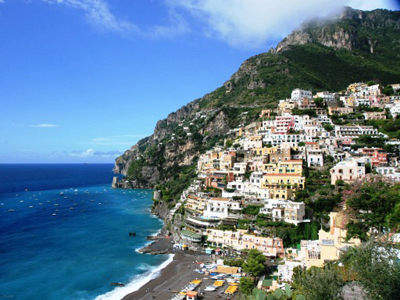 Day tour of the breathtaking Amalfi Coast would allow you to enjoy the beautiful drive along the scenic route built right on the cliffs and visit the most popular villages of Positano, Amalfi and Ravello. This is the best itinerary for taking nice pictures, doing shopping and having a tasty lunch! In Positano you will have free time to explore the centre walking down to the beach, through the picturesque streets full of stores that mostly sell typical hand-made products such as clothes, sandals and finely painted ceramics. You should not miss the Church of St. Maria Assunta with its majolica tiled dome which can be seen from every corner of the village. 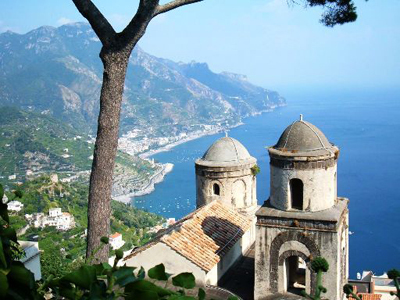 In the seaside town of Amalfi there will be time to take a look at the wonderful Cathedral of St. Andrew and walking through the little lively alleyways having a nice gelato or a good espresso! In Ravello instead, you will appreciate the stunning views, surrounded by the popular gardens of Villa Rufolo and Villa Cimbrone. The last one, which include the famous "Terrace of Infinity" overlooking all the coast from above, must be visited at least once in your life! All the tour options would include the scenic drive around our beautiful area with stops in the mentioned villages and sites. Our English speaking driver will provide a door-to-door service by picking you up right in front of your hotel, villa or apartment avoiding a stressful day for sure. He will provide a commentary about what you will see along the way, stops for taking nice pictures and suggestions about things to do/to see in each place. Also, the driver will be very glad to help you organizing the itinerary and arranging the best schedule for the day to allow you enough time to hang around while he will wait for you with car. CUSTOMIZE YOUR TOUR - take a look at our area of interest! 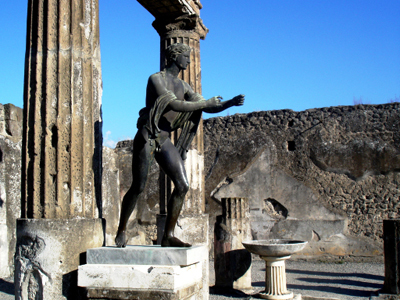 Day tour of Pompeii, Herculaneum and Mt. 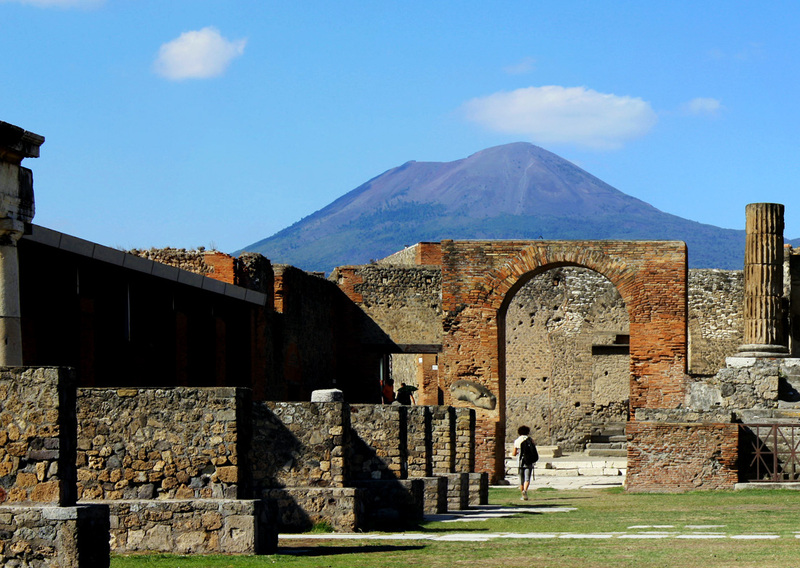 Vesuvius would allow you to visit some of the most important historical and archaeological sites of the world. This is the best itinerary if you are fascinated by Roman history, archaeological finds or simply natural heritage! 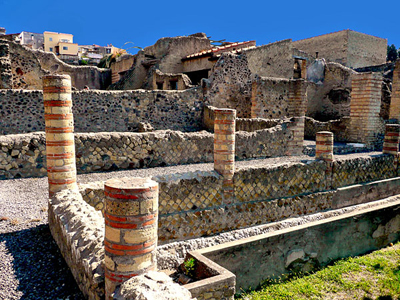 At Pompeii Ruins you will have time to explore the ancient Roman town that was mostly destroyed and buried under meters of volcanic ash during the eruption of Mount Vesuvius in AD 79. Here, you will have the chance to walk around by yourself, learning more with the help of the audio-guide or a licensed private guide that we would be able to book on your behalf in order to maximize your limited time: the English speaking tour guide will show you around through the highlights of the site. Herculaneum, unlike Pompeii, was a smaller but wealthier town, possessing an extraordinary density of fine houses, that you will able to visit as the deep pyroclastic material which covered it preserved the beauties of the ancient town very well, along with lots of wooden and other organic-based objects (such us roofs, beds, doors, food and even some skeletons discovered in recent years). From the Mt. Vesuvius instead, you will have one of the most amazing view of the entire Bay of Naples. It is the only mainland European volcano to have erupted in the last hudred years, although currently dorment. 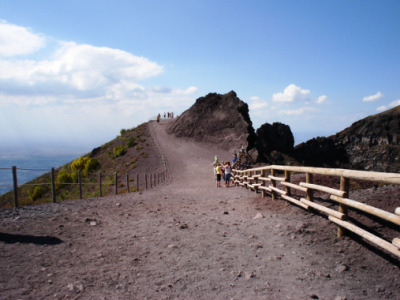 Here, you can hike all the way to the summit: from there a spiral walkway around the mountain takes you to the crater. Strong legs are recommended as the path can be a bit steep and stony! 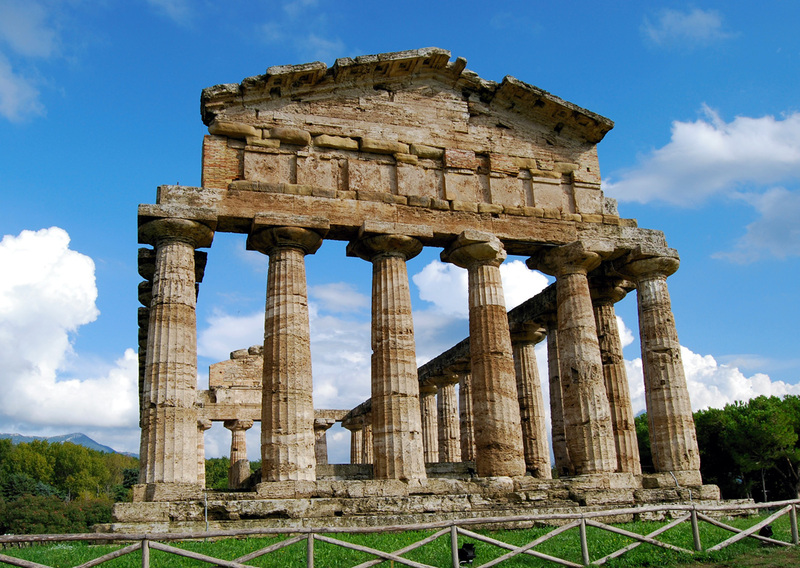 Day tour of Ancient Paestum & Buffalo Mozzarella Farm would allow you to discover one of the major ancient Greek city on the coast of the Tyrrhenian Sea and to taste a typical product of this area: the Buffalo Mozzarella Cheese, popular worldwide. 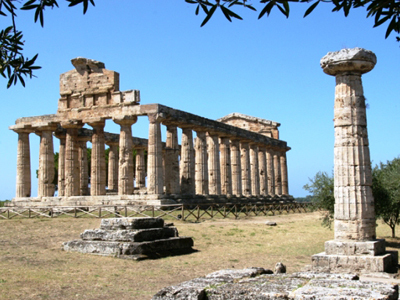 The Paestum Ruins are famous for their three Greek temples in the Doric order, dating from about 600 to 450 BC, which are incredibly in a very good state of preservation. The city walls and amphitheatre are largely intact. The magnificence of the Greek inheritance will leave you breathless! Not far from the ancient temples, lots of buffalo grow in a semi-wild state. That's why we suggest to don't miss the chance of visiting a Buffalo Mozzarella Farm where you will appreciate the elaborate hand-made process of making cheese. Here, we can certainly taste and buy cheese products, and look at buffalo grazing!